Quality is a key factor in any industries, no exception in CNC machining. In order to meet requirement of customer’s specification and avoid any quality problem when products is arrived at customer’s side, we will use many different kind of measuring machines and tools to check them in our cnc machining process. 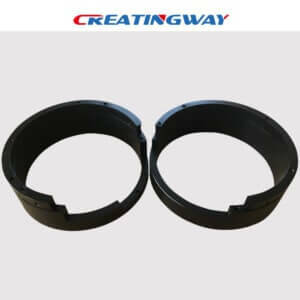 Creatingway takes more key point and skills to strictly control our products for global customers. Several months ago, we received a new customer’s drawings from medical industry. It is the first time we cooperated with customer from medical industry. From the drawing, only the tolerance is very high. And we didn’t see any other special requirement from customer. After the price is confirmed, and all the things are approval, obviously, we got a purchaser order in a short time. But after the samples were arrived at customer’s side, we were informed by customer that the samples were rejected due to not match with their measuring tools. After checking and negotiating, we found it is the problem of our measuring tools we used at our side. Even we do a lot to control the quality for your cnc machining process, we still have such problem coming out. How to improve it? This is key point what everyone want to learn and improve. Different industry has different measuring standard, though sometimes we see the numbers are same. Just like parts for medical, it should be much more precise. But in other industry, like parts for big machine or something else, the tolerance will be not such that high. For some quite special quality requirement, we can turn help to quality lab. As we know, a factory could not buy all the measuring machines, it will be a large investment. However, sometimes, when a product is out of specification, there is no way to tell where things go wrong in the operation. Then we could take product to quality lab to test. Usually, the person who buy the product knows well the function and the testing requirement. So after receiving the inquiry from customer, we should have a sufficient communication with them. Is there any special requirement? What is the part used for? How to inspect them? What measuring tool or machine customer will use? Coming back to the customer from medical industry, finally, we solve the problem and go smoothly in mass production. It is a valuable experience for us. And it brings several new medical industry customers in the following months. We have to work harder to make quality control better and better in CNC machining process. How to Choose High Speed CNC Cutting Tool Material ? good .i appreciate you .yes i agree .Different industry has different measuring standard .